Did you know that the German Shepherd Dog has more than one name? 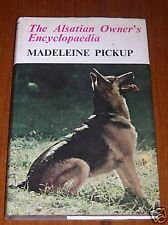 You can see from the photos of older books below, that the GSD was called The Alsatian or The Alsatian Wolfdog for many years. Why? World Wars. When WWI started and even a bit before, all things German became Tabu. It was not just German Bred dogs, but also foods, musics, and such too. 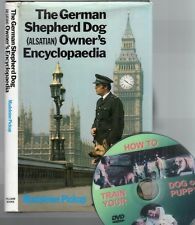 In the USA the Germans Shepherd Dog's breed name changed, within the American Kennel Club (AKC) from the early name of German Sheepdog, even thought the sponsoring club was at that time known as The German Shepherd Dog Club of America, the name of the breed was changed to Shepherd Dog. It was not until 1931 that they added the German back to the dog breed's official name, German Shepherd Dog. 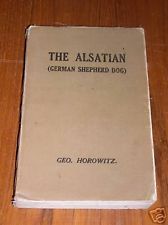 In Europe the dog breed was named Alsatian and it stayed for many years. 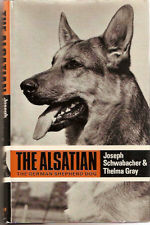 Some people in those countries still call this name for the German Shepherd Dog there today. 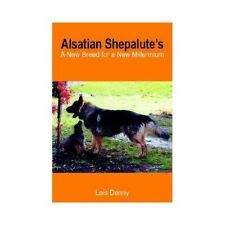 The Alsatian is the same dog with the same Standard of the Breed, with the same working abilities, as the dog that goes by the name of The German Shepherd Dog. 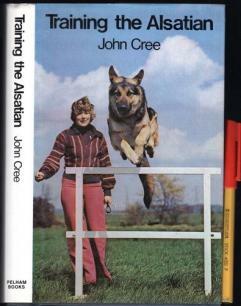 You can see here by the Titles of these books the name was very common for the breed. 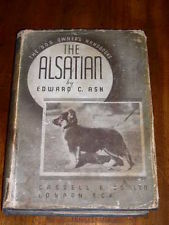 The contents of this page for Alsatian is still under construction. Please check back later!